Still the top contender for my 2017 Game of the Year is Horizon: Zero Dawn. There are so many things to see, shoot, and do in this post-post-apocalyptic open world game, and the game is heavily systems driven so that you often have many options and strategies to choose from for any given task. Among the game’s virtues is that it features several ways of easing the players into things. One of these is the hunting grounds. Each one of the hunting grounds challenges the player to learn new tactics for slaying the robotic creatures that prowl about within them. Sure, you could just take your bow and shoot that Grazer in the face. That’s a tried and true strategy. But what if you used your blast sling to start a stampede and then shot out the supports from a big pile of logs so that they rolled downhill and killed a whole herd of the beasts at once? Now we’re talking! And let’s keep talking, because each one of the hunting grounds challenges requires players to sniff out new strategies for using their weapons and the environment to maximum benefit. Those strategies then come in handy when you venture out into the rest of the game world. All of this reminds me, though, of some psychological research I’ve read about goal setting for unfamiliar tasks. Specifically, one study that suggests how Horizon: Zero Dawn’s hunting grounds frame their challenges in a way that increases player motivations to perform, but doesn’t go quite as far as it could. The central question is: when is it more motivating to set a specific, difficult goal and when is it more motivating to simply say “Do your best”? We know from decades of research in this area that setting specific, difficult goals increases task performance, but only if you already have the knowledge or ability needed to perform the task. Setting such a goal for stuffing 100 envelopes in an hour, for example, should lead to higher performance a person’s previous average were 75 envelopes per hour. But stuffing envelopes is easy, can only be done a few ways, and takes a few seconds to learn. Sometimes we have to first learn how to do a task efficiently, like if you were trying to figure out meeting schedules for multiple people with multiple conflicts, with specific technology needs, across several different days. In cases like this, research shows that simply telling people “Do your best” leads to better performance relative to giving them a specific, difficult goal. This is because people tend to experiment with different strategies for doing the task, which leads them to optimal approaches and increases their sense of self efficacy to boot. So you might be thinking, why not make discovering and trying as many strategies and approaches as possible the goal instead of setting a goal based on the outcomes? Wouldn’t that work better for these kinds of tasks? Good idea! In fact, setting these kinds of “learning goals” can be very effective for increasing performance because they encourage people to optimize and become even more confident in their abilities once they figure out the best ways to do something. 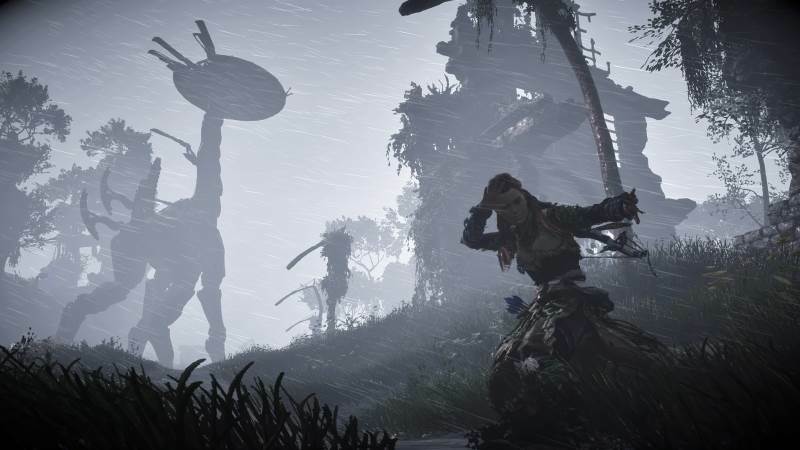 So, given all this, which approach should Guerrilla Games, the developers of Horizon: Zero Dawn, have taken to framing the hunting ground challenges? Well, let’s look to a specific, scientific study for answers. The “Specific, difficult goal” group. They were told to complete 10 schedules in 24 minutes, which was known to be difficult but possible. They found that subjects who were told to “Do your best” outperformed those who were given a specific goal. This may seem counterintuitive given the gosphel of goal setting, but remember that this was a task that required learning before it could be completed and there were many ways to go about it. 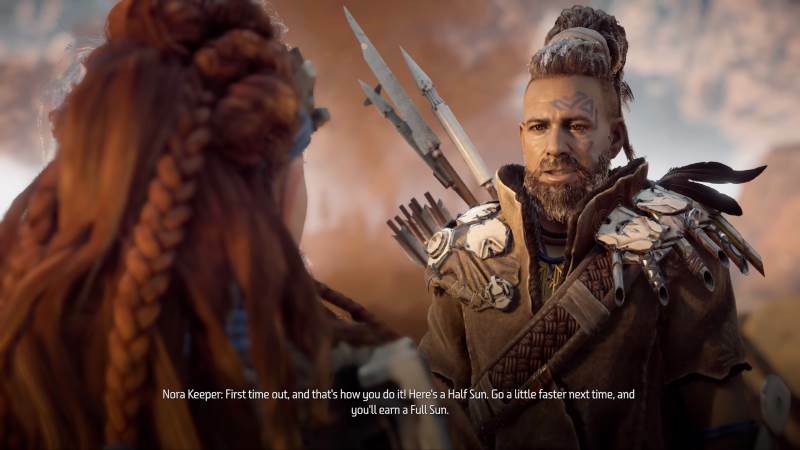 So given all this, how do the quest givers in Horzion: Zero Dawn’s hunter grounds do? Well, they’re ahead of what a simplified understanding of goal setting might place them, in that the NPC dialogue does not tell the player to do anything like “Kill 20 Grazers in two minutes.” Instead they basically say “Kill as many as you can in two minutes.”3 So that’s good! Players should be more motivated to experiment with different strategies and learn the ins and outs of their weapons, abilities, and terrain features. The Mr. 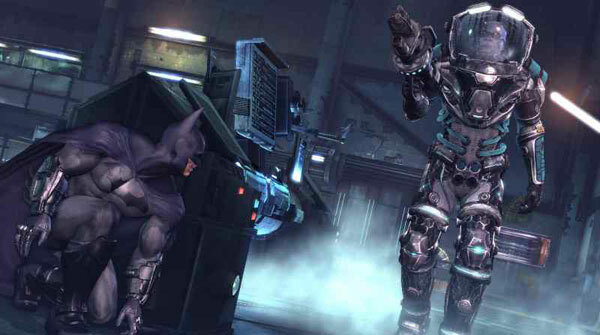 Freeze fight in Arkham City definitely implied a learning goal. Maybe the game could even keep track of the number of different ways a machine is killed in each trial. I’m reminded here of the fight against Mr. Freeze in Batman: Arkham City. That game gives the player a toolbox brimming with different ways to take out enemies: batarang to the face, snatching them while hanging from above, or pouncing from around a corner to name just a few. But Mr. Freeze took several hits to take down and he would only fall for each trick once. You had to find a new approach each time you wanted to attack. Though too late in the game to be considered a tutorial, it was great for reminding you that you have a lot of options and you should choose what works best under the circumstances. Either way, setting goals around the number of different strategies a player can have should be more effective for getting them to keep playing the game and beating challenges, as long as those activities require some learning before they can be done. If they don’t –if it’s just learning basic mechanics or controls, for example– then goals based on specific, difficult outcomes should work best. 1. Seijts, G. & Latham, G. (2001). The Effect of Distal Learning, Outcome, and Proximal Goals on a Moderately Complex Task. Journal of Organizational Behavior, 22, 291-307. 2. I’m simplying here somewhat for the sake of this discussion. The study also included groups that received proximal or distal goals, but that’s a discussion for another time. 3. Or whatever. Instructions vary depending on which challenge you’re doing. Never knew this about the Mr Freeze fight.